When Andrew “Jr. 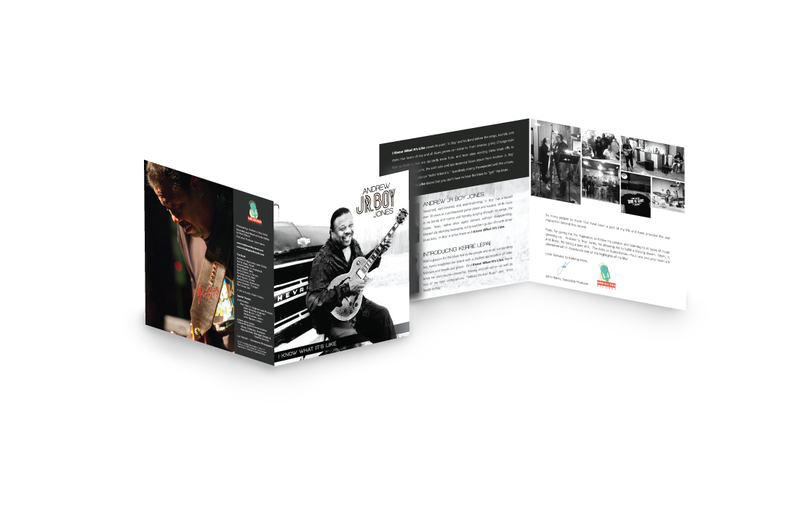 Boy” Jones’ long-awaited CD, I Know What It’s Like, was released in November 2012 to eager followers and blues enthusiasts, 43rd Big Idea Records wanted a creative, eye-catching, and head-turning media/press kit. Producer John Harris also wanted a “really cool” CD cover jacket, promotional posters, and a revamp of the 43rd Big Idea logo. The professional writers and graphic designers at Crème della Crème Copywriting & Communication immersed themselves in all things blues and let the music move them to create a multi-functional showcase of Jr. Boy, the band, and the CD.